Smith Boilers is one the leading manufactures in the industry. 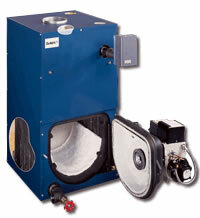 They have a full line of gas fired boilers and oil fired boilers. More people are switching over from oil to gas fired boilers. One of the best is the Smith Boiler inventory is the GB200 Gas Fired Boiler. This boiler was designed with the residential homeowner in mind. 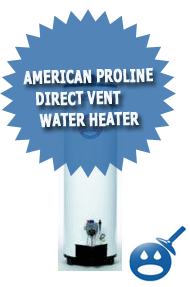 They offer reliable, dependable and efficient heat every time. The GB200 comes in ten different sizes ranging from 85,000 MBH to 400,000 MBH. They all have an energy efficiency rating of 81% AFUE. Some of the standard equipment that comes with the Smith GB200 Gas Fired Boilers is the Cast Iron Boiler Sections rated at 15 psi. The GB200 offers an aluminized steel burner that is equipped with gas valve. The boiler offers a standing pilot ignition. The boiler has a Low Water Cut Out with a Water Gauge Glass. The unit has an insulated metal jacket that helps contribute to the energy efficiency of the boiler.There are 4 different models in the GB200 Gas Fired Boiler Series. The heating capacity of these units is 69,000 to 134,000 for Natural Gas. For Propane Gas, the AGA Input is 85,000 to 165,000. The heating capacity is 70,000 to 135,000. Once you have decided on purchasing the Smith GB200 Series, you will find these are some requirements that you will have to follow when you install the GB200. For example, there are venting requirements that have to be met when installing a boiler. For example, any venting connectors that are being used for serving appliances must not be connected into a part of the mechanical draft system that is working under positive pressure. If you are using a chimney connection then you have to make sure that the chimney itself will be able to work with your system. You may have to have it inspected. When you install the GB200, you have to make sure that there is enough fresh air for proper combustion. If there is any improper boiler operation or improper venting then you may be exposed to harmful flue gases. Then you have the standard boiler installation recommendations such as making sure that when choose a place for installation that the connecting flue pipe between the draft hood and the chimney is as close together as possible. For proper combustion, there must be clearances, the factory recommends that there is 18″ on both sides of the boiler; alcove at the front is 28″ on top, 18″ at the back and 6″ from the flue pipe in any direction. A clearance of 1″ between the hot water piping and combustible materials. It would be wise to keep all hazardous materials away from the boiler. It is also recommended that you follow all of the necessary installation instructions in order to ensure that your boiler especially a gas fired boilers is being installed properly. If you know nothing about installing a boiler, then hire a qualified professional. You want to make sure that your boiler is safely installed. 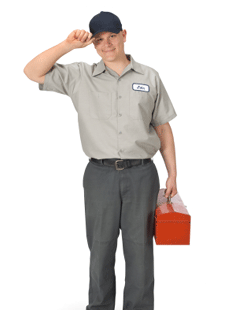 Call around to your local plumbing companies and see how much they charge for installation. The boilers come pre-tested and factory installed so the installation should be too much money. By having a professional install your boiler, you are also staying the guidelines of the warranty.